I live in New York City among 800,000 Muslims where I can get awesome halal cuisines on just about every major block. But sitting among the 12 families that make up Augusta’s Muslim community, where the nearest halal restaurant is 45 minutes away, made me forget all about New York. Bassam and I hopped in our car today for a 5-6 hour trek up to Maine. 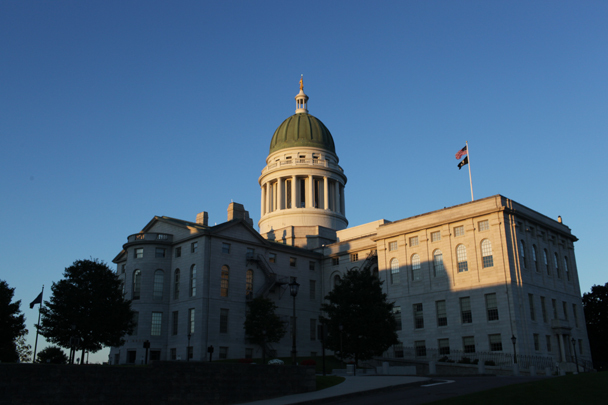 It was our first official stop on our road trip so we were excited to meet the people up there and check out the spectacular scenery in the state’s capital city, Augusta. Along the way I was trying to find something other than country music to listen to so I settled on Taylor Swift. But I guess me saying that I “settled” on listeing to Taylor Swift would be remotely believeable if I secretly didn’t know the lyrics to just about every single one of her songs. This sign has nothing to do with our fast tonight, but I saw it in a downtown storefront and it made me laugh. I’m still not sure why. Coming to Augusta, I knew very little about the town, let alone the Muslim community. To schedule this trip, I basically googled a bunch of mosques in the state and Augusta was the first group to get back to me. I feel lucky now that they did. 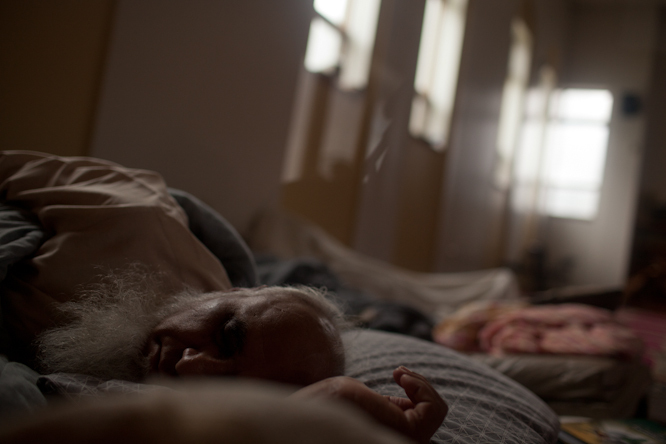 A man named Ather was waiting for us in the parking lot of the mosque, a cozy single family unit home turned place of worship. A typical Friday prayer, which in just about every community gets the largest turnout during the week, gets around a dozen people. But what this community lacks in size, it makes up in heart. 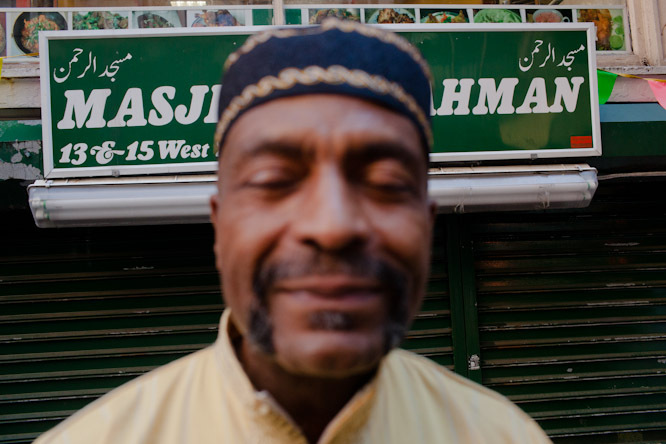 I took a walk with Ather through the city’s downtown and was fascinated about how much this tightly knit community works together to practice their religion. There are basically no halal meat markets nearby, so each week the family’s here designate someone to drive 4 hours down to Boston and pick up halal meat there. The Augusta Mosque is on the right side. The rest of the space is a medical clinic. Ather explained most of the Muslim family’s in Maine are pharmacists. For the past 10 years or so, the state has been booming in jobs in the health care industry, prompting many of them to seek opportunities here. Now on the surface, hearing about a bunch of Muslim pharmacists living in a community makes you want to yawn. But there was something about the charm of these people that makes them stand out from the rest. Take Ather for example. He was born and raised in India and his wife is a convert that grew up in Maine. He met her here while he was working as a pharamicist and she as an intern at the same place. One day she noticed him praying and asked him about it. The rest is history. 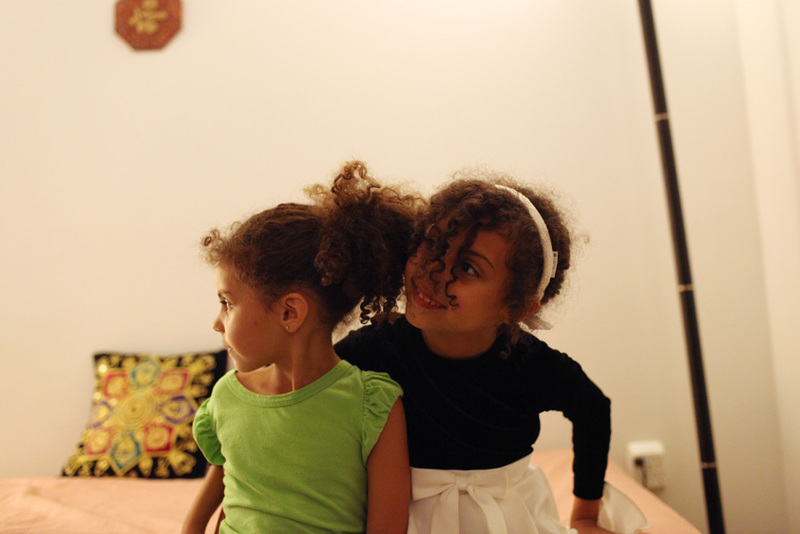 Another person we met, Chadi, is an American who converted to Islam about six years ago and married a Morrocan woman. But after hearing so many horror stories about what kind of tension interracial couples have to endure, it’s always refreshing to hear stories about happy couples whose ethnic backgrounds don’t matter when it comes to love. 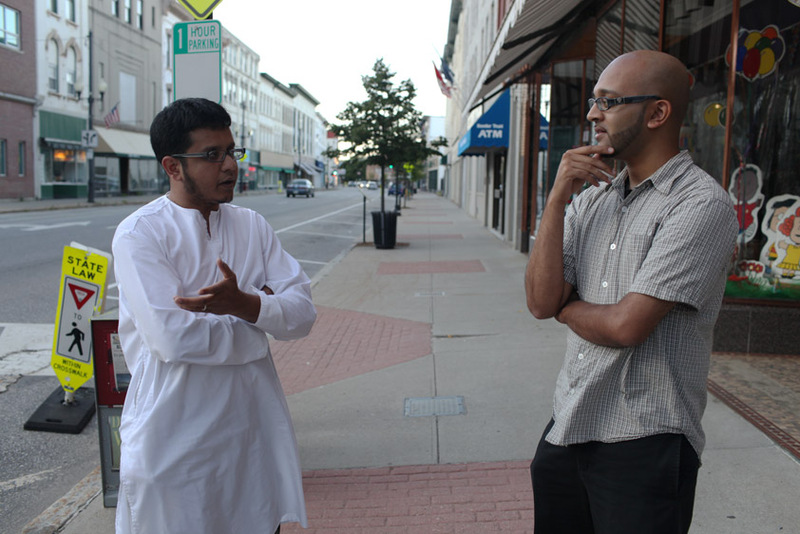 Ather and Aman stand in downtown Augusta. The town shuts down around 5 PM, even on Fridays. For Ramadan, the mosque brings in students from Dar Ul Uloom – a reknowned Islamic school in Buffalo, NY – to lead the prayer. Both students are hafizes, people who have memorized the Quraan. Bassam and I peeped into a room they were sitting in by themselves as they intensely tried to prepare for what Quranic verses they were going to recite for tonight’s Taraweeh prayer. I think often times we as Muslims take hafizes for granted. While we feel relaxed and at ease praying behind them, they must feel the intense pressure of basically performing for an entire group of people. I can’t even imagine the stress. 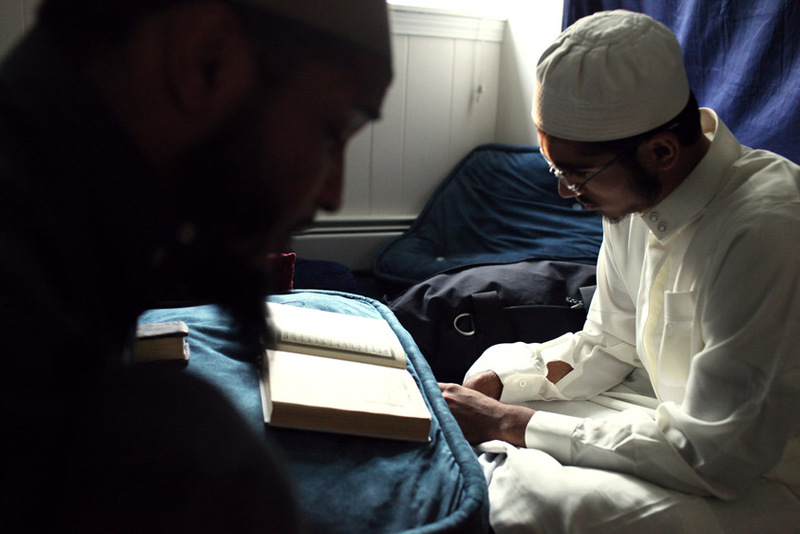 Mikael Smith and Mohammad Umair sit in the back of the Maine mosque preparing for the night prayer, Taraweeh. To complete our daily fast, one of the people at the mosque welcomed us into their home. After prayer, we feasted on some of my favorite clutch South Asian dishes, haleem (a thick soup made of minced meat), chicken curry and rice. I really shouldn’t be eating that food considering all the traveling I’m doing, but hey I’m willing to take the punishment lol. 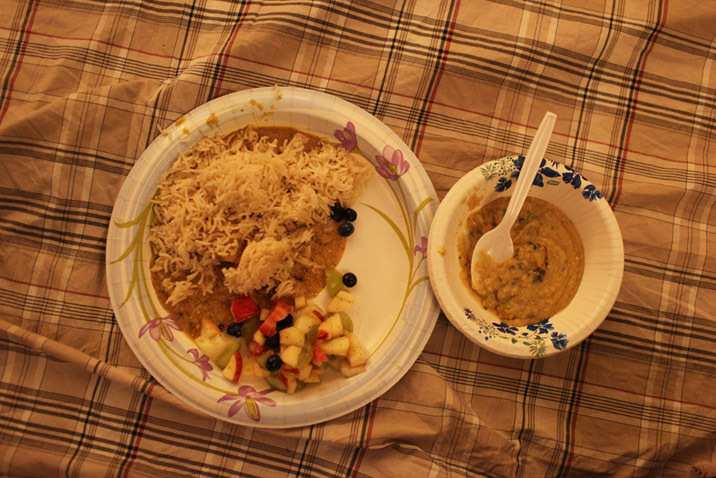 The haleem had a really nice citrus taste that really brought out the flavor of the meats. No doubt the community’s four hour trip to Boston to get that meat was worth it. This trip has been an incredible experience so far, but no doubt it’s been stressful. During the drive up here, Bassam and I were furiously trying to catch up with all the work we had to do like coordinate interviews with TV networks and radio stations and figuring out ways to improve the site. I’m not complaining about it because to this day I feel lucky fate decided to put us on this journey, but it is no doubt an enduring blessing. So with all the work I had to do bouncing around in a frenzy in my head, there was nothing more relaxing than sitting among my new Muslim friends in Augusta. Just seeing a bunch of happy children running around and people laughing among one another was enough to bring me comfort. Maybe next time they head to Boston, I can leave New York and meet up with them there, because it would be a drive well worth it. 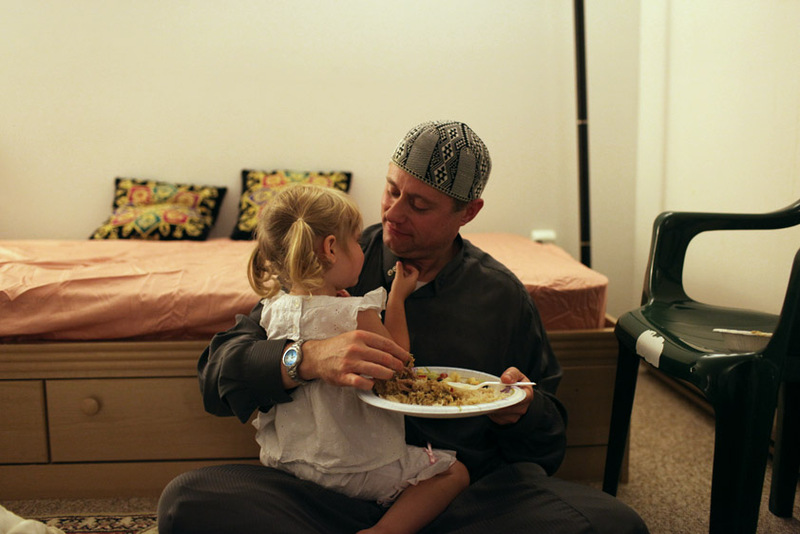 Chadi, a local of Augusta who embraced Islam six years ago, tends to his daughter and a dish of haleem. I really love this post! It’s wonderful to see how different communities come together to fulfill the practice of their Islamic faith and simply build community. I appreciate the fact that you spoke about the Hafiz’ and the role that they play, we have very big expectations of them as they lead us in prayer to make the experience seamless & beautiful. Teamwork for Halal food= awesome. And the pics are lovely. Very cool, but where are the wisecracks? You don’t like the pressure of memorizing and performing for large groups? I thought you were a comedian. PS. Next time you slink off on a 30-day tour, you need to say good-bye to your co-workers. The lunch truck guy looked sad that you’d be fasting. As salaam alia kum . The pics are good.like it. Having learned about Islam in a small, student-based community, I can related to the closeness and intimacy of a small masjid. It has its blessings, and it is beautiful to read how Muslims learn to cope in small, remote locations. Love the posts, Aman! I look forward to reading them everyday! Glad you’re having an awesome time so far. The Islamic Society of Greater Augusta Inc. is accepting donations toward the purchase of a building. 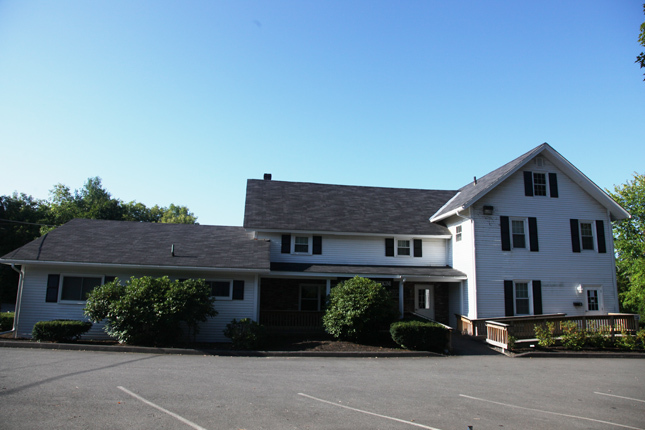 Please mail your contribution to 12 Spruce St. Suite #6 Augusta, Me. Asalam alaykum !, Ramadan Mubarak !, Eid Mubarak ! Masha’Allah this post really is touching. Especially the photo of the father and daughter. May Allah bless you and keep you safe Amine. agreed, heart-warming pic indeed masha Allah. Assalam alaikum wa rahmatullah brother. May Allah reward you for your excellent work. Just one small comment. I felt the mention of listening to music, especially in Ramadan, to be a strange one. Of course we all have our opinion on the permissibility of music in our religion, which we are free to have. However in this holy month we should focus on listening to the words of Allah, the Quran, on our iPods, MP3 players, or CD players in the car. Lastly, as music is not something agreed upon by the Muslims Scholars, it would be better not to mention such a thing here on this blog. Never!!! Would I experience all this IF it wasn’t for you two!!! Such a warm community MASH ALLAH!!! i see the hafiz’s are chillin mashallah…..working hard on both the taraweeh and food…gaining thawaab and weight…. I agee with Br Abdullah! Hafiz’s Friend: Where is there a picture of the Hafiz’s eatting?… I hate when people have nothing better to do but pick on Hafooz! Why are the rules different for Hafooz than people like YOU???? I am so very happy I fell upon this blog. I grew up in Gardiner, Maine. I moved away about 7 years ago and have recently started wearing the hijab. I would LOVE to move back home but I worry about how my change in faith will affect my family and how the surrounding communities view them. I am glad to see that you had a pleasant experience. I like my コーチ a lot more than most each individual I have. The are quite, extremely good. This is certainly especially logical aspect as raised contained in the blog website. Get pleasure from speaking of approximately.